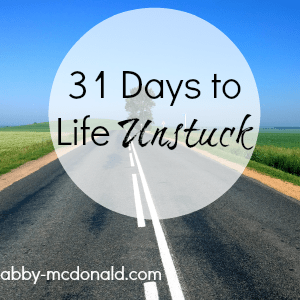 Abby McDonald is a writer at heart, but she also loves to speak, teach, and do interviews on living a life of faith and the craft of writing. One of Abby’s greatest desires is to show women that their identity is shaped by Christ alone, not the constant noise of the world. She knows the power of a story, and uses her life experiences with fear, discouragement and doubt to deliver hope to women. She illustrates Christ’s power to help us overcome these struggles and through her transparency, she shows her audience they are not alone. We are made stronger together, and through real, sometimes hard conversations, Abby sheds light in a dark and sometimes chaotic world. 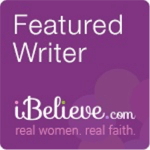 Abby’s writing has been featured on Proverbs 31 Ministries, (in)Courage, iBelieve, Crosswalk, For Every Mom, and more. She reaches thousands of readers each month on her website and on various social media outlets, and is always listening to conversations to identify felt needs. Abby also leads workshops at conferences each year, and would be honored to connect with your regarding your speaking event. These are a few of the topics Abby addresses, but is not an all-inclusive list. Abby would be happy to accommodate your event’s topic or theme. We are wired to crave results. We live in a fast paced culture that promotes instant gratification and affirmation through social media, prime shipping, on-demand viewing, etc. But in our relationship with God, he often molds us in the wait. When we don’t see the answer, the solution or affirmation, he fine-tunes our faith. So how do we fix our eyes on the Author of our hope? In this talk, Abby will share what God has taught her through her pursuit and him and her goals. As followers of Christ we often stumble and need to pick ourselves up, dust ourselves off and try again. 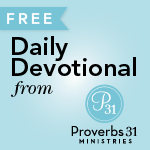 When we make the same mistake several times or fail, we may even think God is disappointed in us. Is this true? Is it scriptural? In this talk, Abby will use biblical truths to show how it this type of mindset keeps us from moving forward in our spiritual walk and ultimately distorts our view of God. Once we see who he is, we can embrace who we are as well. Each of us is made to crave something greater than what this world has to offer. The writer of Ecclesiastes says we have eternity in our hearts, and this longing often takes the form of goals and dreams we can’t accomplish on our own. The problem comes when our dreams become idols, taking the place of the God who gave them to us. We have to remember his promises go further and are more reliable than our dreams, and keep our focus on what he says in his Word. In this talk, Abby will discuss why God’s promises go further than our dreams, and we can trust him to do what he says he will. If you would like to have Abby speak at your event, please fill out the form located on the Contact page. She will get in touch with you promptly.